I love a nice cup of tea and I drink it several times a day. Caffeinated tea in the morning (normally hot), more caffeinated tea throughout the day (normally iced) and a nice warm cup of caffeine free tea to wind me down before bed. 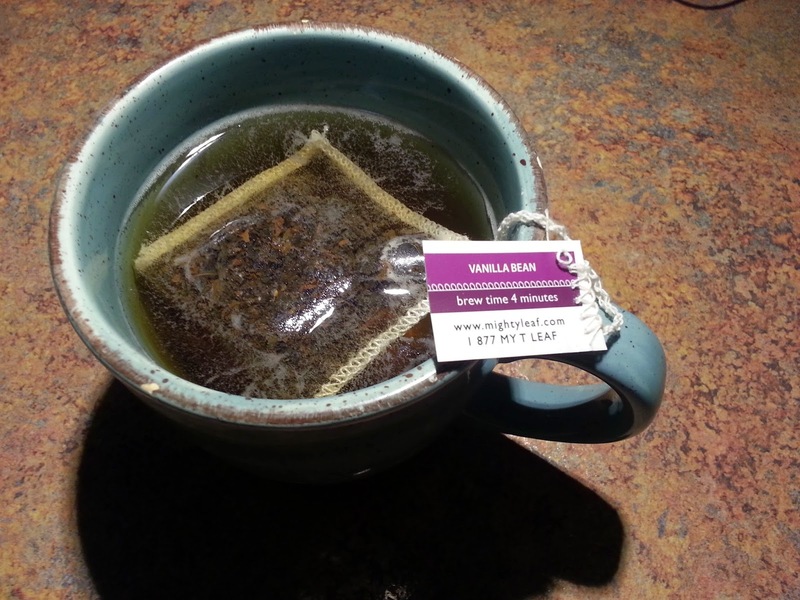 I find tea very comforting and I am always trying new brands and different flavors. I recently discovered Mighty Leaf Tea. Mighty Leaf Tea was started by a Husband and Wife in San Francisco. According to their website, "Mighty Leaf Tea was born for the sole purpose of infusing life into an ancient indulgence by creating tea products that reach new heights of quality and innovation." They even have awesome tags. They tell you how long each tea should be brewed. Yes, different teas have different brew times. If you brew your tea too long it could become bitter. If you don't brew the bags long enough then you are missing out on flavor. Now for flavor...they use the freshest possible ingredients with the world’s finest whole tea leaves, herbs and fruits. You can definitely taste the difference. 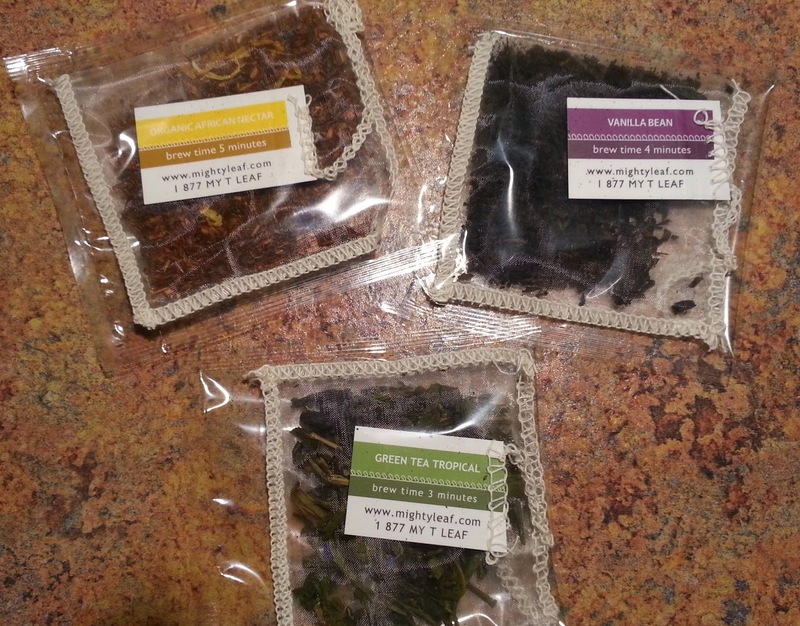 All three teas that I received are delicious and incredibly flavorful. The Vanilla Bean is definitely my favorite. I typically shy away from Vanilla in tea or coffee because a lot of times it can taste bitter and not have a true vanilla flavor. That is not the case with this tea. It has a strong, deep vanilla flavor that has almost a creamy after-note. No bitterness here. My second favorite is the Green Tea Tropical followed by the African Nectar. I wonder if it is psychological that I like them in order of their caffeine content? :) The Green Tea Tropical is a green tea with tropical notes added and the pouch contains pineapple bits, flower petals and flavoring. The end result is a really nice, lighter tropical tea. The tropical flavor is not overpowering and it does not taste like passion fruit (like some tropical drinks) which makes me very happy. The African Nectar contains organic rooibos leaves, natural flavors, organic hibiscus flowers, organic marigold flowers. It has a very nice and light flavor that is also slightly tropical. 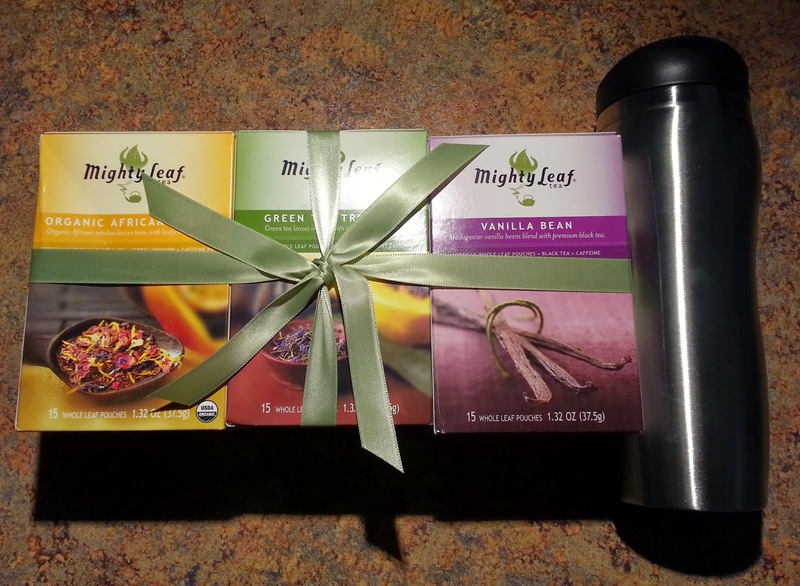 Mighty Leaf Tea also sent me their really cool tea top brew travel mug. This mug is designed for brewing tea. It has a slit in the lid so that you can pull the tea tag out the top of the mug to brew your tea. When the allotted amount of brewing time has passed, you pull on the tag and use the lid to strain your tea bag. You then unscrew the lid and throw away the tea bag. Such a great idea! It keeps the tag from falling into your mug and allows you to get that last little bit of flavor out easily. I really enjoy the luxurious feel and taste of Mighty Leaf Tea Bags. It is going to be hard to go back to cheaper brands after this. I think I have finally found my brand of tea! 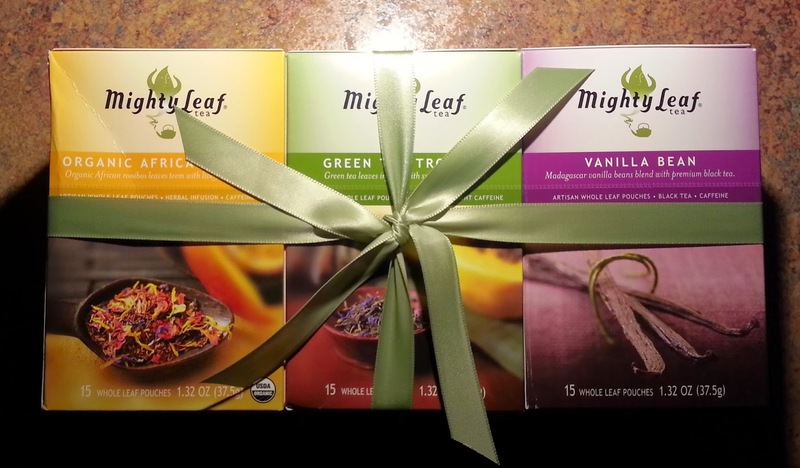 Would you like to try Mighty Leaf Tea for yourself? One lucky Thrifty and Frugal Living reader will receive a three pack set of tea (either World Flavors or Taste of the Tropics) and a top brew travel mug! **TO ENTER- Enter using the Rafflecopter below. Note: It may take a moment for the Rafflecopter to load. If you are reading this via RSS or Email, please visit the website to enter** Giveaway is open to US Residents only. Ends 5/16 at 11:59pm. I think I'd try the Taste of the Tropics simply because I am always on the look out for a GOOD vanilla tea! Yum! I've had their Mango Iced Tea, it's delicious! I would take the Taste of the Tropics. I would choose taste of the tropics! I'd like the Taste of the Tropics! I would like the taste of the tropics. I would pick the world flavors. Tell me which set of tea you would pick if you won (World Flavors or Taste of the Tropics). I am very interested in tasting the African Nectar. I would choose World Flavors. I would choose the World Flavors. Taste of the Tropics sounds divine!! I would totally choose the Taste of the Tropics! The world flavors; so I can gather an appreciation for those around the world! I would like to try the Taste of the Tropics. It sounds so refreshing! I would get the Taste of the Tropics! I'd likely choose the World Flavors. I'd love the Taste of the Tropics flavors. The Taste of Tropics sounds very appropriate for summer time tea drnking. I would pick World Flavors. I would definitely pick the World Flavors :) thank you! I love, Love, LOVE tea! I'm sorry I missed this giveaway!